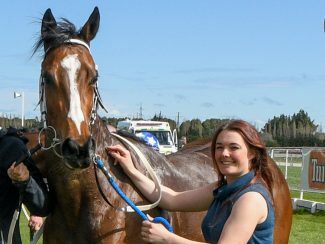 Riverton trainer Ashley Frye secured her first training win at Gore on Friday when Boyslightup was victorious in the Gore Town and Country Restaurant (1200m). The win was made even more special for Frye because her fiancé, apprentice jockey Brett Murray, was aboard the four-year-old mare while his mother had purchased the horse for the couple. “It was super exciting to get my first training win today,” Frye said. 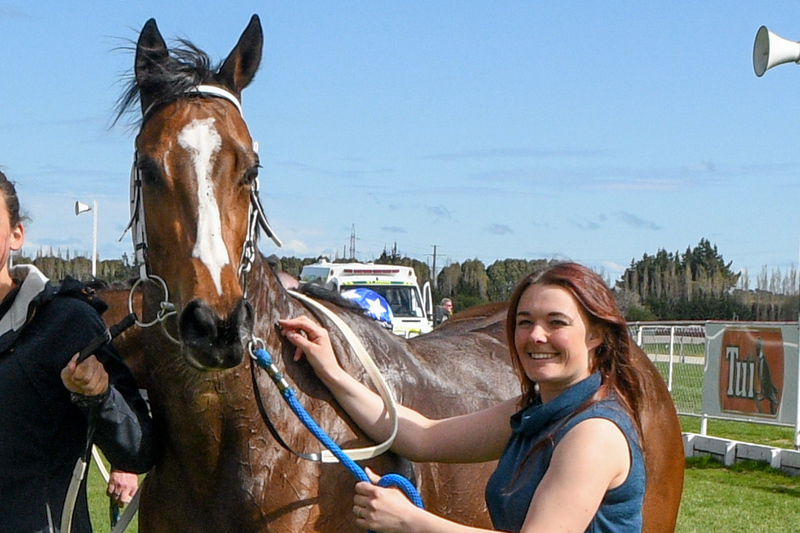 “My fiancés mother bought the horse and Brett rode her as well, so that made the win even more special. “I was quietly confident coming into today because of the weather we have had, it’s been torrential rain. Frye was formerly a successful apprentice jockey before she joined the training ranks. In her two seasons of riding, she won 75 races, including two at stakes-level. However, Frye elected to try her hand at training after a nasty race fall.